Authors dream of having their books made into movies. But even if your story never hits the big screen, you can make your work better by thinking like a scriptwriter. Apply these screenwriting tricks to writing your novel and breathe new life into your work. Don Hewitt, who co-wrote the English-language screenplay for the Japanese animated film Spirited Away, agrees. But, he warns, don’t just make up any big scene for the sake of drama. “Start with an event that affects the character,” he says. Ideally, this event is a moment of change, where the character starts on a new path. In addition, Doug says, “An opening scene should establish the genre. For comedy, I try to make a really funny opening.” If the opening is exciting, funny, sad or scary, the audience expects the entire movie—or book—to be the same. If the opening is boring, the reader assumes the rest is, too. Even in comedies, he says, dialogue must be relevant to the plot. “Dialogue is funny because of the situation, not because it’s inherently funny.” The same goes for novels, too. Long action scenes can be equally dull. “When you look at the page, it shouldn’t be blocky with action,” says Paul Guay, who co-wrote screenplays for Liar, Liar, The Little Rascals and Heartbreakers. Above all, screenwriters know the value of editing. Studios expect scripts to be within a certain length, generally 90 to 120 pages. Although some movies today run longer than that, any writer who turns in a 300-page script looks like an amateur. Novelists who focus on action over description are closer to making their books page-turners. However, novelists don’t have the luxury of visual aids, as screenwriters do. Just use short descriptions to advance the plot, not distract from it. Novelists can learn from the movie world. Open big, increase the drama in each scene, balance action and dialogue, and edit ruthlessly. You’ll have a stronger story. And who knows? It may even increase the chances of your book being made into a movie. Chris Eboch writes fiction and nonfiction for all ages. 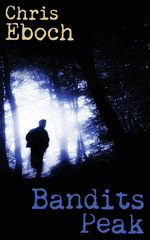 In Bandits Peak, a teenage boy meets strangers hiding on the mountains and gets drawn into their crimes, until he risks his life to expose them. The Eyes of Pharaoh is an action-packed mystery set in ancient Egypt. The Genie’s Gift is an Arabian Nights-inspired fantasy adventure. In The Well of Sacrifice, a Mayan girl in ninth-century Guatemala rebels against the High Priest who sacrifices anyone challenging his power. Her writing craft books include You Can Write for Children: How to Write Great Stories, Articles, and Books for Kids and Teenagers and Advanced Plotting. 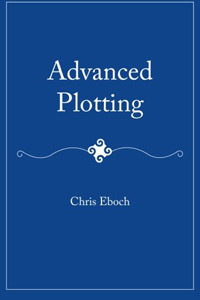 Learn more at www.chriseboch.com or her Amazon page, or check out her writing tips at her Write Like a Pro! blog. Sign up for her Workshop newsletter for classes and critique offers. Chris also writes novels of suspense and romance for adults under the name Kris Bock; read excerpts at www.krisbock.com. This article was originally published in the July 2011 issue of SouthWest Sage and is reprinted here by permission of the author. SouthWest Writers receives a commission on all books ordered via Amazon.